As I write this the World Cup final has just kicked off. So it wasn't to be for England and despite all the positives to come out of the tournament, I'm still a bit disappointed that our brave boys seemed to well and truly let Croatia off the hook. At half-time, Gareth Southgate's side were in control and on another night could and should have been home and dry by the interval. What happened at half-time? The same side never reappeared and ultimately Zlatko Dalic's side were worthy winners. Because we were second best overall, it made the defeat way easier to take than the semi-final losses of 1990 and 1996 and even the quarter-final of 1986 when injustices (a grave one in the latter) and thorough bad luck seemed to rob us. It's clear England are nowhere near the finished article but things are looking good. It's important that we don't rest on our laurels and the forthcoming Nations League matches against Spain and Croatia now look really quite meaningful again - tickets are on sale now by the way. With the World Cup coming to an end, the focus will shift firmly to pre-season. More Premier League teams will enter the fray this week as the quality of matches on offer gradually creeps up. For those who went to Boreham Wood on Saturday to watch Unai Emery's debut as Arsenal boss, you wouldn't have been left disappointed with the Spaniard fielding pretty much the strongest side possible. 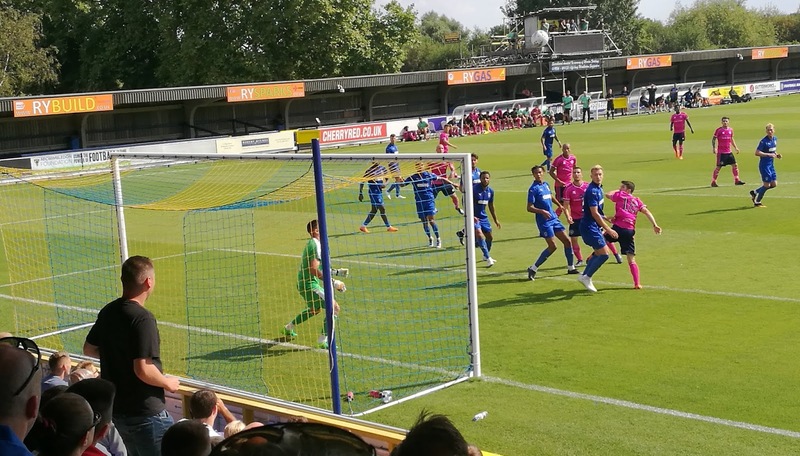 Stars including Cech, Bellerin, Aubameyang, Lacazette, Mustafi, Chambers, Ramsey and Mkhitaryan were all on show as the Gunners routed their non-league hosts 8-0. By contrast I headed down to Kingston for the London derby between AFC Wimbledon and QPR. The two EFL clubs put on a far more low-key spectacle and although there were chances it wasn't a classic. In fact, one of the high points was when the sprinklers accidentally came on very early in the game, forcing a brief suspension of play! Nonetheless, as an R's fan it was worth going - boss Steve McClaren fielded a full squad over the 90 minutes and Luke Freeman scored the only goal to win it with virtually the last kick of the game, somewhat undeservedly. There are over 100 games this week so where will you be going? Sadly I move on to late shifts this week so my next opportunity isn't likely to come until the middle of next week. There are over 100 matches in and around the London area over the next seven days as the pre-season period starts to really get going. The highlights include a few decent friendlies featuring a couple of Premier League sides and several from the EFL.